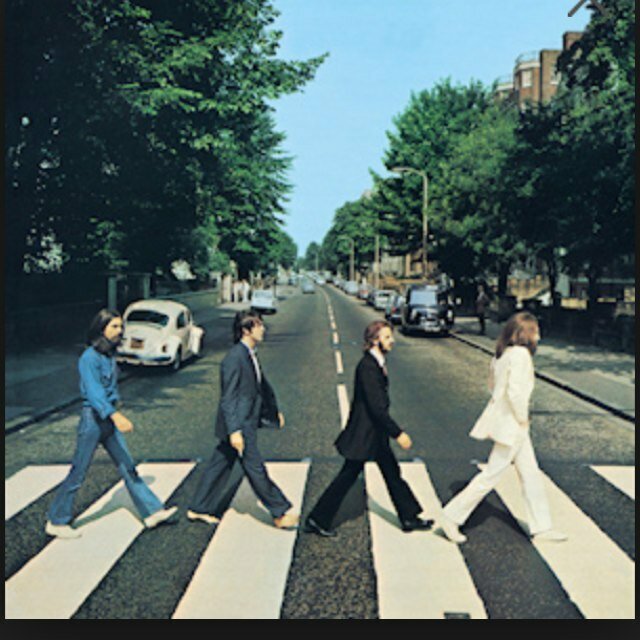 While London police held up traffic over the course of the 10-minute shoot, photographer Iain Mcmillan staged and captured the image originally sketched by Paul McCartney, creating the legendary cover photo for the Beatles' Abbey Road album. If the above photo doesn't exactly look like the iconic album cover, that's because it isn't. This "backward" shot of the Fab Four captures them going the reverse direction. In addition, McCartney is wearing sandals in this image. The rare photo at top, one of six used in the shooting (and due to that hot August day, only 1 of 2 with Paul wearing shoes) sold at auction May, 2012 for $26,000.